Oh joy! It’s a brand new series for those huggable Mr Men. And this time it’s more magical than ever. The Mr Men have had a brush with a rather enchanting young lady: Little Miss Magic. Now all sorts of strange and amazing things are happening to them. 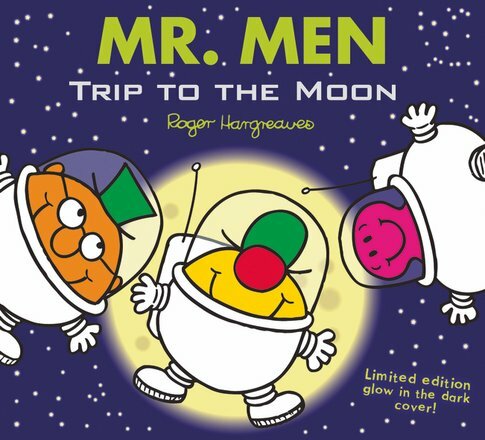 In this book, the Mr Men are going on a trip to the moon! Well, the ones who can fit in a space suit and helmet. Will the moon really be made of cheese, as Mr Greedy thinks? And will there be any cows jumping overhead?